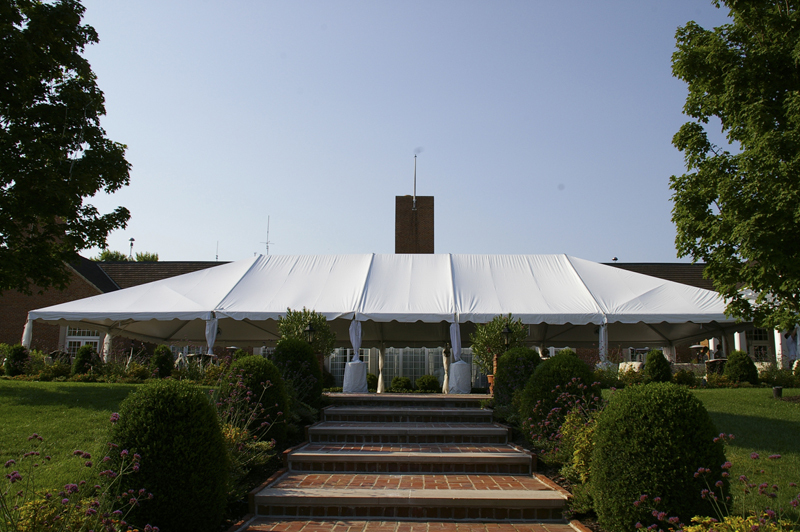 40×80 Trac Tent. A perfect addition to any outdoor wedding. Many people discover that a catered event is the biggest expense of their wedding or event. The total cost of your catered party includes food, beverages, kitchen staff, wait staff, rentals, the decorations, and the reception site itself which can add up to over 50% of your total event. Therefore, it is very important to know how to interview and choose a caterer. What is your budget for your catered event? Is there a deposit required? What is the initial deposit and when is it due? Is there a gratuity or service charge? How much are the taxes? How much extra will I be charged if my event runs overtime? What does the caterer include in the price (e.g., set-up, clean up, staff, food, rentals, etc.)? How long have they been in the catering business? Have they catered weddings or your type of event previously? Have they handled the amount of guests that you have invited? Do they have health permits? Do they have a liquor license to purchase alcohol? If no, are they willing to serve your alcohol? Does your caterer provide bartender(s) to serve your beverage? How much extra is this service? Is champagne service included for my wedding toast? Are the beverages served at the bar, buffet style, and do the wait staff refill drinks at the tables? Is the rental equipment provided through the catering company or through a rental company? What are my of color choices for the table linens and dinnerware? When does the caterer need to know the final head count? When you send out your invitations, keep in mind that the caterer will need a rough head count 1-2 weeks before your event. Does the head count include other wedding/party vendors, such as the DJ, band, wedding consultant and photographer? Is there a price difference for the children and the wedding/party professionals? Do they have set menus or can they customize menus according to the style of your event? Can they provide special menus such as vegetarian cuisine, kosher cuisine; are they able to accommodate guests with food allergies? Are the hors d’oeuvres passed around to the guests by the wait staff or are they stationary on a table? What are the different styles that the meals are served? Does the catering include wedding cake service or do you have to hire someone to cut and serve the cake? What is the dress code for the wait staff? Does the caterer use fresh ingredients/produce or do they use canned or frozen ingredients? Do they bake their own breads and desserts or do they contract out to bakeries and chefs? What is the portion size that you can expect to have? What are the general terms of the contract? Is your deposit refundable if your wedding/event is cancelled? Does your caterer communicate with you effectively and are they helpful? Do you have reverences available? Do you provide an initial tasting/consultation? Is there a fee for the tasting?